Finally my LoRa gateway has both antennas. One +2dB for the gateway ( there is a bigger one with +7dB on its way to me. 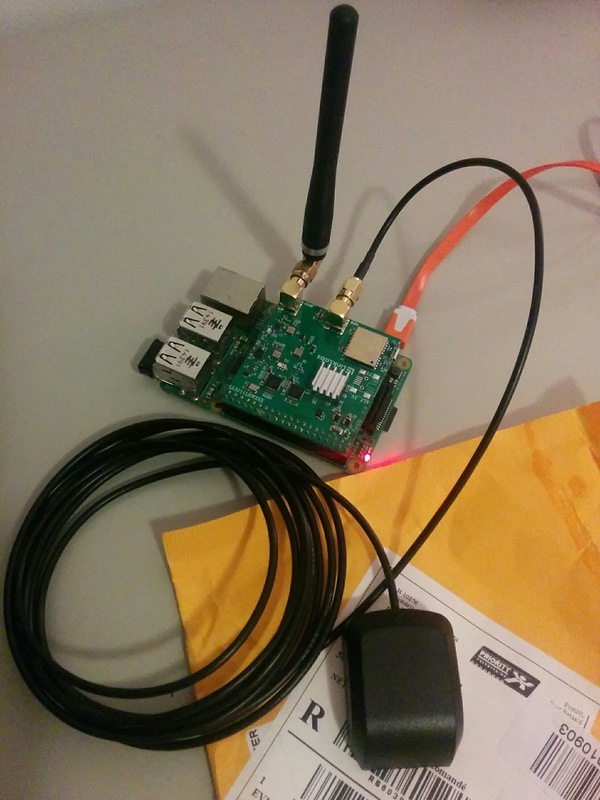 I hope I will receive it next week) and one for the GPS module that is on the linklabs board. I've order the antenna from eu.banggood.com to be delivered in one week instead of one month. 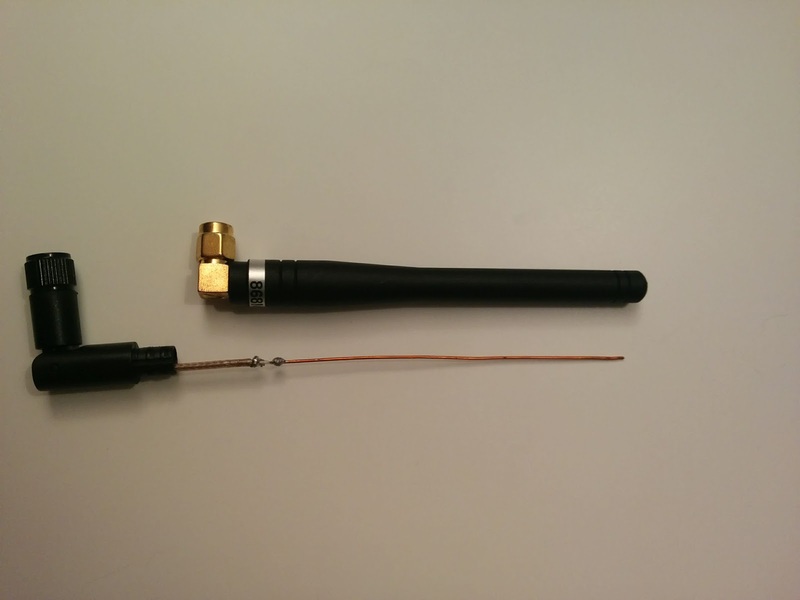 Before I had for the 868Mhz band an 8.2 cm wire (1/4 wave lenght) converted from an 2.4Ghz WiFi antenna. I've used only the base to be able to mount it on the gateway and I've soldered to wire. The full setup needs just a proper waterproof case to be mounted outside. GPS is working, I see the coordinates and altitude but more important now I am ready for class B and for precise downlink messages from my Network Server.